Good afternoon. As always, it is a privilege to speak at the Empire Club. Each year for the past three years, I have returned to the Empire Club to share perceptions about the precious metals industry and specifically about gold. Generally, this forces me to step back and assess the previous year’s events and then to speculate about what they may indicate for the coming year. Choosing the seminal events this year has been more difficult than usual. Lately the pace of gold-related news has accelerated exponentially with gold’s rising price. While 2009 was an exciting year for gold, setting a new average high of $1,088, 2010 promises to be even more exciting. In 2009 gold resumed its historical monetary role – as the anti-currency. Therefore, the influences and events that affect its price are not simple commodity supply/demand fundamentals, but the more complex global monetary issues. To summarize some of the important key events, I thought it would help to separate them into three categories. First, there are the obvious events—those whose implications for gold are self-evident. Second, there are the events that require some interpretation and, finally, there are the events that we might call “incipient”. These events and stories are in their early stages of development. They may amount to nothing, or they may develop into tectonic forces that completely disrupt the gold-related financial landscape. It is more than a year since Wall Street made some very bad bets that resulted in unprecedented losses, losses that were passed on to the American taxpayer. For their incompetence and greed, most of the company heads responsible were rewarded with generous severance packages, or with new jobs commensurate in pay and status to the ones they left behind. Even more surprising, perhaps, is that one year later many of these people continue to advise the US government’s financial policy makers. 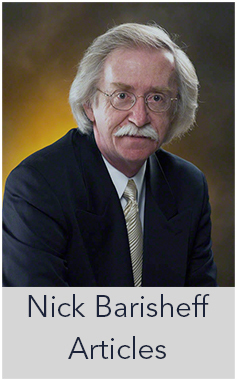 My associate, trend analyst Richard Karn, likens this particular situation to a group of chickens getting together and consulting with the foxes about a problem that is plaguing their community—the rapidly decreasing chicken population. Since the same key figures remain firmly in charge of US fiscal policy, we can assume the status quo will continue until the ship finally hits the iceberg. So let’s start with the obvious gold events of the past year. It was the first time in 20 years that gold purchases for investment purposes outpaced gold purchases for jewellery demand. However, in terms of significance, central bank buying of gold this past year upstaged all other events. For the first time in over 20 years, central banks became net buyers rather than net sellers of gold. This is a watershed event. India’s central bank purchase of over 200 tonnes of IMF gold in the fall of 2009 demonstrated that large central banks were willing to pay the market price for gold. This removed the concern that official sector sales could cut short any meaningful rally. Although the central banks have been selling less gold each year lately, the threat of IMF sales had continued to weigh on the market. Russia and China further dispelled this fear with the disclosure that they too have added 130 and 454 tonnes respectively. Several smaller central banks such as those in Sri Lanka and Maritius also added to their gold reserves. Therefore, central bank buying was clearly the significant gold event of 2009 and will likely continue to be in 2010. The next level of news events had implications that might not have been so obvious at first glance. On October 6, Robert Fisk, a veteran Middle East correspondent writing for the UK’s Independent, published an article entitled “The Demise of the Dollar.” The article described how “Arab states have launched secret moves with China, Russia and France to stop using the US currency for oil trading.” Although the central banks immediately rejected these rumours, the market treated their denials as a clear admission of guilt and gold broke through year-long resistance at $1,020 an ounce into an entirely new trading range that day. The Iranian oil bourse, which allows oil sales in several currencies except the US dollar, is another indication that this trend will continue. In addition, the US’s greatest supporter of the petrodollar, Saudi Arabia, announced that it would no longer trade oil futures on the NYMEX. And on October 19 a related event occurred that received almost no mainstream press coverage; in fact, the only mention I could find of this story at first was at Al Jazeera Online. This was an agreement between ten member states in Central and South America and the Caribbean to use the sucre rather than the dollar for intra-regional trade. Venezuela, one of the West’s largest oil suppliers, is also a member of this new alliance. This trend is significant to gold because, since 1973, the US has been able to accumulate huge deficits thanks to an agreement with OPEC to price oil in dollars exclusively. This system worked until the 2008 financial crisis, which many felt weakened the dollar’s inherent worth beyond repair. The petrodollar experiment, which started in 1971 with the removal of the dollar’s peg to gold and continued in 1973 when the dollar was essentially backed with oil, is coming to an end after only 36 years. However, given the weakness of other currencies and the fact that no other paper currency currently threatens to replace the US dollar, the process may take years to complete. The end of the petrodollar’s hegemony, which is inevitable in my opinion, will have significant implications for gold. Another event whose implications may require some extrapolation was the move by the Chinese government to encourage and facilitate gold buying by the Chinese public. China watchers know the Chinese have a long-term love for gold. In fact, on December 9, Reuters announced that China had surpassed India as the world’s largest gold buyer, for the first time in recorded history. The Chinese have also demonstrated a strong propensity for saving. With their government making no secret of its displeasure with the US dollar, and with few other safe investment options available, the Chinese public could provide the fuel to move the gold price to new highs. One ounce purchased by each of the 80 million middle-class Chinese would equate to 2,500 tonnes of gold. It is important to remember that during the last gold bull, the Chinese public was unable to participate. This is a story that definitely bears watching. Finally, in the third category, is the news we might compare to the first spark of a match that either extinguishes uneventfully or ignites a raging, out-of-control forest fire. Most of us in the gold industry have discovered that we ignore these flickers at our own peril. Many of the stories that started as hints or rumours a few years ago are now accepted as fact. The first of these issues we are watching is the imbalance between gold derivatives and paper proxies and the amount of physical gold in existence. This is important because despite its best efforts, Wall Street still cannot print gold. Since almost all the gold ever mined remains in existence and gold reserves and production estimates are monitored meticulously, such discrepancies will show up faster in the relatively small gold market than they might with other commodities. As Wall Street churns out new gold investment vehicles, people are starting to do the math. If it becomes apparent that financial institutions have sold more paper gold than actually exists in physical form, then the price of paper gold and physical gold could diverge. This year, many analysts began to apply increased scrutiny to the gold and silver ETFs. In mid–July, hedge fund giant Greenlight Capital announced they were moving assets out of the world’s largest gold ETF – SPDR Gold Shares – and into physical gold. Greenlight is an industry leader whose movements are carefully studied and often emulated. 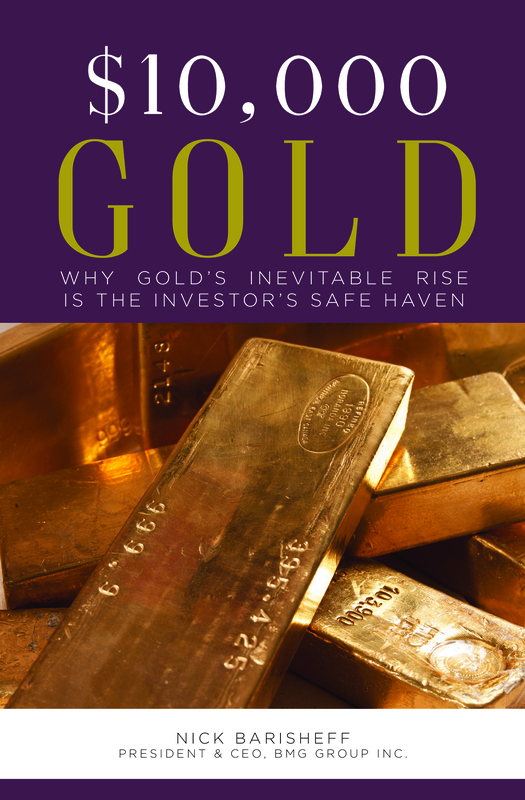 Although Greenlight’s manager, David Einhorn, claimed it was cheaper to own and store physical gold than it was to pay the ETF fees, the fact that a major, industry-leading fund would move to physical bullion set off many alarm bells. Since ETFs do not actually purchase their assets, there is nothing prohibiting Authorized Participants from contributing baskets of borrowed gold. The amount of borrowed gold held by ETFs is a matter of speculation. With multiple claims on the bullion, ETF investors may suffer unexpected losses under stress conditions when they need their gold the most. We know that the US must refinance at least two trillion dollars of debt in 2010. They can raise this money in one of three ways: through the sale of bonds, through increased taxation, or through monetization by the Federal Reserve. Foreign investors showed decreasing appetite for US treasuries in 2009. Rising unemployment along with an aging population makes increased taxation a poor option. Therefore, the US Fed will be forced to monetize the ballooning debt, further eroding confidence in the dollar as the world’s reserve currency. This will encourage central bankers, especially those of the developing countries, to accelerate their accumulation of gold. Stephen Jen, a managing director at hedge fund BlueGold Capital and an expert on sovereign wealth funds from his days at Morgan Stanley, estimates that the percentage of gold held by the Chinese, Indian and Russian central banks is just 2.2 percent. This compares with 38 percent held by Western central banks. According to Jen, they would have to buy $115 billion dollars worth of gold at current prices to raise their bullion to just 5 percent of total reserves, and $700 billions’ worth to reach just half of Western levels. Along with many others in the gold industry, we have noticed that fund managers are starting to buy gold as long-term insurance, which they intend to hold for several years. By one estimate, if the world’s pension funds and hedge funds moved only five percent of their assets into gold, which these days seems quite conservative, gold would trade above $5,000. With leading wealth managers such as David Einhorn, John Paulson and Paul Tudor Jones allocating significant amounts of their portfolios to gold, the process may have already begun. In conclusion, the events of the past year bode well for the price of gold in 2010. At the recent highs of $1,200 many thought that gold was overbought. For those who feel this way, I would like to close with some recent words from investment legend Richard Russell who said, “If gold is going parabolic, then there’s no such thing as ‘overbought’,” Almost any of the events of 2009 I have highlighted could trigger such a parabolic rise. 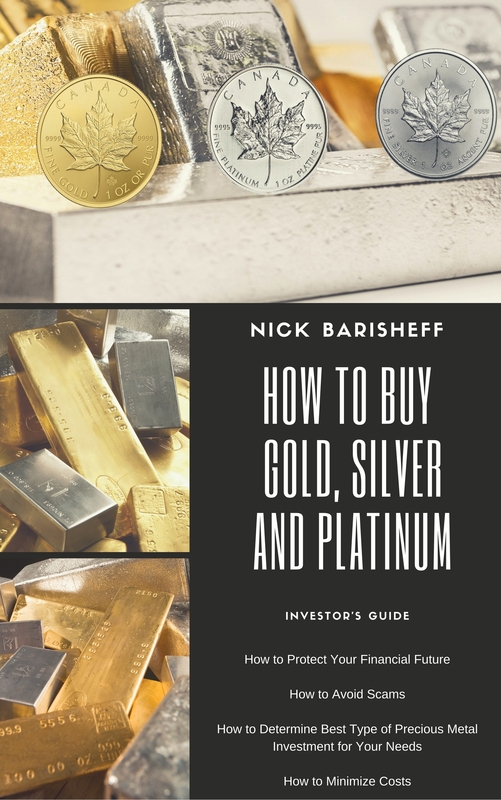 Right now the Chinese and Indian public, the non-Western central banks, the sovereign wealth funds, the pension funds and the hedge funds of the world are all looking for ways to increase their long-term gold holdings. The pull-back from the recent highs of $1,200 seems to be over, providing an attractive entry point for investors. In 2010 we will likely see prices rise to at least $1,300 to $1,500. It is important to understand that this isn’t a typical bull market. Unless governments around the world stop creating massive amounts of new money, the price of gold will continue to rise.